Being a "recipe cook" myself, I have long admired people who can simply look in the cupboard, check what's in their fridge, and whip together a scrumptious meal. No cookbook, no directions, no guidance needed save what they already possess, whether from instinct, practice, or lessons absorbed from a mentor or two along the way. 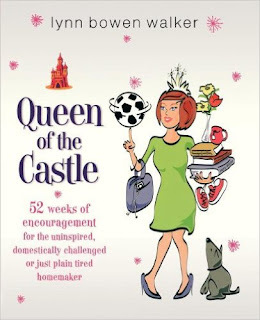 I am thrilled to have discovered just such a mentor, though she's one I've never met except through her book. 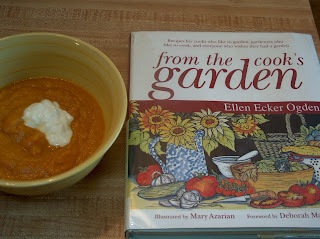 The teacher is Ellen Ecker Ogden, the book is From The Cook's Garden, and today's lesson is all about vegetable soup. I learned that from Ellen Ecker Ogden. I also learned that she starts most of her cooking from the garden simply by heating up a little olive oil, adding chopped onion and garlic, then running outside to see what's ripe. Sounds like a successful recipe to me. In that spirit, I recently tried her pureed vegetable soup. The olive oil, onions, and garlic were already on my shelves. From the freezer, I plucked a zippered baggie of 1 1/2 c. pumpkin puree I had made back in the fall (for instructions, see this post from Kevin's Closet Cooking blog). From my fridge came a couple of carrots. And from my kitchen window ledge came some home-grown, dried rosemary. Have a little rosemary, won't you? Please. I insist. The result? The best soup I have ever made. Absolutely delicious. Here are the instructions, in case you want to try it yourself. In large stockpot, heat oil over medium heat. Add onion and garlic and cook until soft, stirring, about 5 minutes. 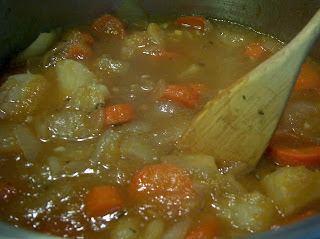 Add the herbs, vegetables, and potato, and cook about 5 more minutes, stirring often. Add the broth and let simmer over medium heat, with the pot partially covered, for about 30 more minutes. Vegetables should be tender. Process in blender in small batches until it's all pureed. Season with salt and pepper. Serve hot or cold. A couple more hints from this book: You can add cream to this soup, or sherry, or fresh leafy greens before blending. 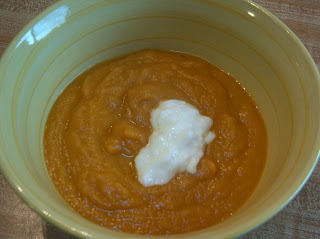 You can also top with a dollop of sour cream or, my choice, plain yogurt. So how about you: Are you a recipe cook? Or are you blessed with that instinct that lets you create away in the kitchen without written instructions? NOTE: This post is linked to Works-for-me-Wednesday at the We Are That Family blog. Check it out for zillions of great ideas. NOTE #2: Check out the "grow your own" roundup, for a collection of recipes that contain home-grown ingredients. Roundup hosted by Nate @ House of Annie blog. Sounds amazing! I love soup! And I agree, it really doesn't matter what veggies you throw together--a nice soak in the 'hot tub' together makes them all best buddies. LOL Thanks for sharing! This is my kind of cooking, simple and tasty. Thanks, Nate, for posting the link to the home-grown ingredients carnival. Since not only the rosemary, but also the pumpkin in this soup was home-grown, I'll make sure to pop over and link up. Neat idea! I love this kind of soup! Thick and hearty - thanks Lynn! Hey Lynn, how do you make soup "unsweet"? Is it as simple as leaving the carrots out? I like veggie soups, especially roasted veggie soup, but sometimes it's just too sweet (maybe because of the caramelization during roasting). More salt? Less vegetable? More garlic? Stronger broth? Carpool Queen, good question. I really don't know how you'd make veggie soup less sweet. Anyone else have any ideas? That book sounds right up my alley! Your soup looks amazing! That looks absolutely delicious! Thanks for stopping by my blog and leaving the nice comment! I use recipes when I make candy, and sometimes when I'm baking cookies or something. But as a general rule, I just toss stuff in and taste as I go. In response to Carpool Queen's question, you can't really make something "unsweet" so what you have to do is balance the sweetness with another taste. The two primary tastes to balance sweet are sour or heat. So, for your soup for example, you could add some tart Granny Smith Apples, and/or some apple cider vinegar. Or you may want to add lime juice, cilantro and a minced jalapeno. Personally I'd put the lime juice, jalapeno and cilantro together in a food processor and blend them well before I added them tot the soup, but that's just me. Troy, thanks so much for the great information! Good knowledge for next time something tastes too sweet. Such a useful hint to know that vegetables grown together in the same season go well together in a recipe. Excellent! 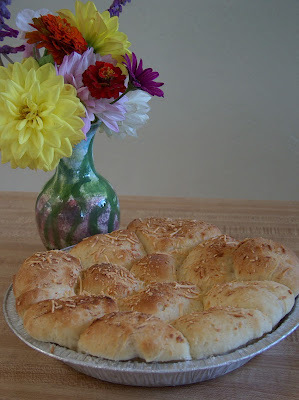 What I Love About Being a Homemaker . . .